Editor’s note: While most people who are vaccinated do not suffer severe side effects following vaccination, a minority of vaccine-recipients develop serious health problems after vaccination. In some cases, adverse reactions to vaccines can have a fatal income. Such was the case for author Stephanie Messenger’s eldest son, Jason, who became extremely ill following routine childhood vaccinations, wasted away and died. (Extensive tests were done during the course of Jason’s illness and no medical cause could be found for his deteriorating condition.) 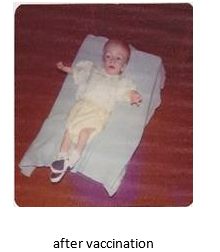 Stephanie chose today’s date, February 16, Jason’s birthday as a day to remember children like Jason who died following vaccination as well as many other children who live with severe long term vaccine-related health problems. Please note that in New Zealand and Australia, parents are free to choose for their children to have no vaccines, some vaccines or all the vaccination recommended by the respective government health departments. There is no requirement for children to be vaccinated to attend preschool or school. As vaccination can have very serious consequences in some children, it is important to take the time you need to be sure that whatever the decision you make, you are sure that it is the right decision for your child. 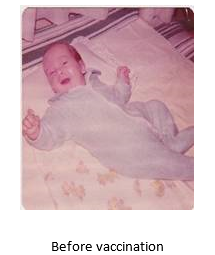 February 16th is the date Jason, my deceased son, entered the physical world outside the womb. I prefer to remember this date instead of the date he finally succumb to the damage done by vaccination. I do this because I understand he came to my life for a purpose, which is, to help me to understand this complex issue and do something about it. You see I have been a vaccinating parent and also a non-vaccinating parent and I have studied this issue for over 30 years. I do not have any degree in medicine, science, PR, psychology or marketing, but I understand this issue better than most. You do not need a degree in anything to read the literature and see the corruption that has now become evident, just a basic understanding that there are BIG profits to be made from your children never really being totally well. It is actually quite simple when you have lived it for so long. It is all about fear, control and billions of dollars. On this, the 5th anniversary of the day of remembrance, I request that all parents of vaccine injured and/or deceased children stand up and be counted. You see, by staying silent, you are not fully honouring the purpose of your child’s and your experience in this lifetime. I believe you and I were given a mission by having the experience we have had. That mission is to educate as many parents as possible about the damage done and the dangers of poisoning our baby’s bodies with vaccinations. You see, most parents want to do the best for their child, they just don’t know what that is anymore. There are so many ‘experts’ telling them all sorts of things – they are confused and eventually most listen to the ones who do the threats and bullying, just because they are intimidated and lack the confidence to go against mainstream thinking. Please parents, all over the world, do your homework and make a truly informed decision. You have been lied to in your school books, history books and by the current drug company and government propaganda – vaccinations are NOT safe and effective – they are toxic and ineffective at what they are supposed to be doing – preventing disease. If and when your child does react to a vaccine, it will be called a ‘coincidence’ by the medical industry as they keep their blinkers firmly affixed. Don’t be lulled into a false sense that ‘your child is vaccinated and is fine’ as some conditions, like cancer, can take years to manifest, once the seeds are sewn. Others like SIDS happen quite quickly. It is your job to investigate thoroughly – question everything – your child’s life is dependent on it! Nature knows best…not drug companies and their surrogates.